Shanthakumaran Sreesanth's career is a melancholic example of what could have been in the annals of Indian cricket. Before he buried his own career, the right-arm pacer from Kerala played his part in numerous memorable triumphs for his country. 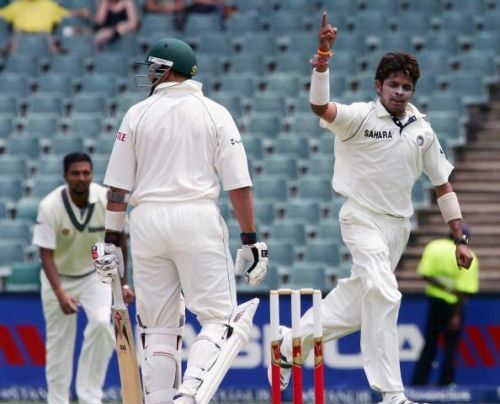 In this segment, we relive the top three bowling spells from Sreesanth in Tests. Performances in matches won have been accorded greater importance. India began their 2010/11 tour of South Africa on a nightmarish note. With spearhead Zaheer Khan unavailable due to injury, their bowlers were cannon-fodder to an unstoppable Proteas batting lineup. As the action shifted to Durban, the visitors were eager to bounce back from the shellacking. The return of Zaheer added ammunition to India's bowling attack and they demolished South Africa for 131 to secure a 74-run first innings lead. VVS Laxman's masterclass ensured that the hosts had to chase a formidable fourth innings target on a dicey pitch. Chasing 303, Graeme Smith asserted himself on the Indian bowlers. After goading the South African skipper into a verbal tiff and the ensuing false shot, Sreesanth removed Hashim Amla. Operating at full tilt, the speedster dismissed Jacques Kallis with a brutal short ball. By striking at the heart of the Proteas' batting might, he paved the way for a famous Indian triumph. On a docile track at the Green Park Stadium in Kanpur, India won a handy toss and amassed 642. Virender Sehwag, Gautam Gambhir and Rahul Dravid shaped their surge by hammering rapid centuries. Zaheer furthered India's dominance by accounting for Tillakaratne Dilshan off the very first ball of the innings. Sreesanth proceeded to wreck Sri Lanka's chances in a stunning spell on a warm morning session. Sreesanth's five-wicket haul included the key scalps of Kumar Sangakkara and Thilan Samaraweera. Sri Lanka were routed for 229 and made to follow-on. India eventually wrapped up a comfortable innings victory. Upon deciding to bat first on a tricky surface, India rode on their famed middle-order stalwarts to register a reasonable total of 249. Intermittent rain consigned the pitch under covers and made life more difficult for batsmen from both sides. Sreesanth got into the groove by trapping Graeme Smith in front. Aside from swinging through the moist air, the brand new ball was also seaming wildly off the surface. The Kerala pacer capitalised on the conducive conditions and soon accounted for Amla as well as Kallis. 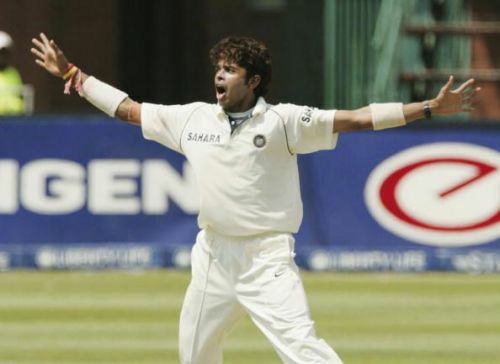 After castling Mark Boucher, Sreesanth procured his maiden five-wicket haul when he dismissed Shaun Pollock. South Africa were reduced to 45/7. Although they managed to limp to 84, Smith's men could not prevent India from going on to register their maiden Test triumph on South African soil.